Just watched Carol. 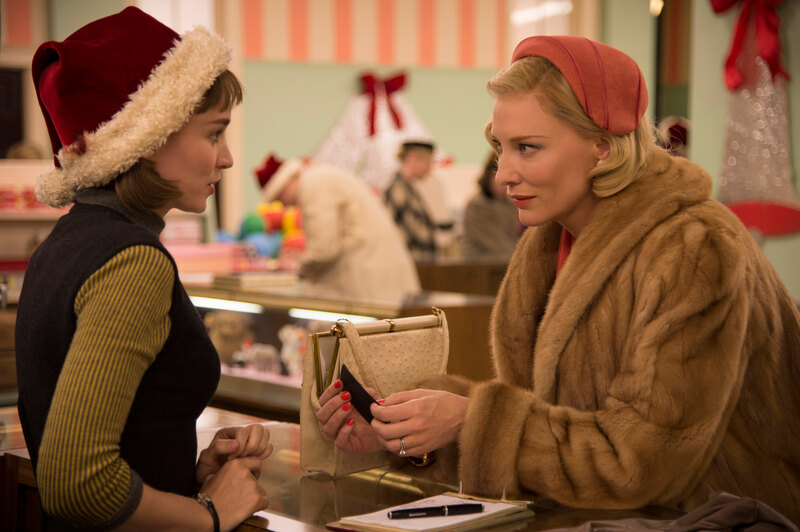 It is a beautiful love story between two human beings, Carol and Therese, acted by the brilliant Cate Blanchett and Rooney Mara. The acting is mesmerising, the music swings you through the movie, and the filming transports you to the 50’s yet it is ageless. Overall a very enjoyable and touching movie to watch which focuses more on a genuine love relationship than anything else that might nourish the press and outrage some uncomfortable viewers. This movie is highly recommended for anyone who ever fell in love with another human being. It is a serious Oscar contender for Best Actress, Supporting Actress and Best Picture. Who the hell is Oscar? ← The show must go on: Alabama Shakes lights London with sound and color at the O2 Brixton Academy.